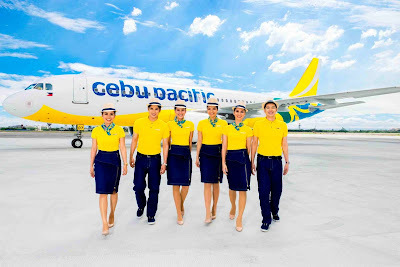 Aviation Updates Philippines - The Philippines' leading airline, Cebu Pacific (PSE: CEB) calls for aspiring cabin crew to join its recruitment fair in Manila, Cagayan de Oro, Davao and Iloilo between September and October 2016. CEB is set to recruit around 100 cabin crew to increase its flying crew to more than 1800. 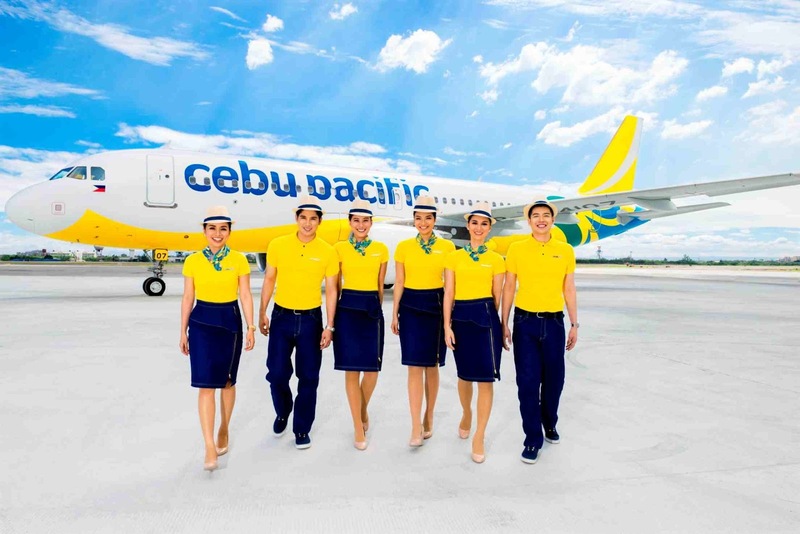 Cebu Pacific cabin crew sporting their new uniform and livery. Photo by Cebu Pacific Air. The recruitment fairs for cabin crew will be held in the following cities: Manila (Cebu Pacific Building, Pasay City) on September 3; Iloilo City (Corazon Room, Iloilo Business Hotel, Glicerio Pison cor. Benigno Aquino Ave., Smallville Complex, Mandurriao) on September 9; Davao City (Mangosteen and Durian Function Rooms, Park Inn by Radisson Davao) on September 24; and Cagayan de Oro City (Eaton Room, Mallberry Suites Business Hotel, Florentino Drive, Limketkai Centre) on September 30. "We offer excellent career opportunities and progression, exposure to vast global network of exciting destinations, unlimited travel benefits and competitive packages for fun and dynamic individuals. We highly encourage everyone to be one of us and become instrumental in bringing people together through safe, affordable, reliable, and fun-filled air travel," said Atty. JR Mantaring, CEB Vice President for Corporate Affairs. CEB will process the applications on the same day, between 9:00 A.M. to 3:00 P.M. Acceptance of updated curriculum vitae with 2x2 photo will be until 1:00 P.M. only. Applicants must possess a dynamic personality, height of at least 5'3" for female, and 5'7" for male, weight that is proportional to height, clear complexion, good eyesight and a catchy smile, among others. Responsibilities include guaranteeing the safety of guests on board the aircraft, and ensuring that guests have a fun and pleasant flying experience.